Quite a fair bit of sound-bites have been generated lately on the supposedly huge amount of money that Singaporeans are putting into overseas property in the past 2 years. According to the Sunday Times, an estimated $2 billion was invested during last year alone. This has probably gotten the Government a tad flustered, as alarm bells have been ringing from all over. The Monetary Authority of Singapore (MAS) was first to issue a warning to potential buyers to take note of the risks associated with overseas property purchase. The Council of Estate Agencies has also recently got into the act by publishing an online guide to highlight the main pitfalls. The risks associated with overseas property purchase can indeed be much higher. This is especially if one is unfamiliar with that market. However, with the slew of cooling measures introduced over the past few years, it has become exceedingly difficult for Singaporeans to buy, much less make any decent money out of, local property investments. So despite all the caution about "what those glitzy adverts and fancy road-shows promised may not be exactly what you get", the myriad of miscellaneous costs and tax considerations, the interest and exchange rate risks associated with foreign property purchases... yadda yadda yadda, the fact of the matter is: with liquidity still running high amongst many Singaporean investors, where else do you want them to put their money except overseas? This is especially when for a fraction of the cost that you need to pay in Singapore, one can easily purchase an apartment in Kuala Lumpur, Bangkok, Tokyo or even London... with usually a 5 - 10% down payment and balance upon completion! So even if one has to contend with capital gain tax on profit (e.g. Malaysia & Hong Kong), restrictions on ownership (e.g. foreigners are limited to buy only 49% of the units in a given project in Thailand), restriction on resale (e.g. You can only resell your property to locals in Australia) and restriction on use (e.g. student housing in the UK), the lure of overseas property investments will persist as long as local investments are out of reach to the average buyer. And it is no wonder that newspaper adverts about new overseas project launches have become the norm rather than exception these days, while developers of such projects are falling over themselves to set up sales offices in Singapore. - Can you reasonably afford to stay "invested" for a sustained period? Although the bulk of the payment for an overseas property is normally due on completion (typically 1 - 2 years after the initial down-payment), but if that 10% down is money that you need to put food on the table, then you probably shouldn't be looking to buy. This may sound elementary to most but you be surprised how many of us do not think enough about this. - Assuming you need to take a bank loan for the investment, have you check to ensure that you are eligible for that loan? Remember that TDSR applies even for overseas property purchase, if you are borrowing from banks in Singapore. - Have you taken into consideration how the mortgage rate will affect your yield and more importantly, your ability to meet the monthly repayment, on that overseas property? The interest rates on foreign property loans are typically much higher - we are talking about almost 3% versus the 1-point-something % for local property loans. - Do you take the mortgage loan in Singapore$ or in the foreign currency of the country of purchase? This will require you to take an opinion on how the exchange rate of the said foreign currency will fluctuate in the short to medium term. 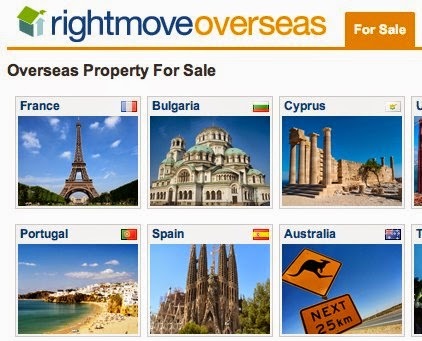 The wife and I have been dabbling a little in the overseas property market since 2007. We bought our first property in New Zealand but the developer went bust about a year later (without completing the project, of course). However, our deposit was actually placed in an escrow account with a New Zealander law firm (which we were aware) and was earning like 5% p.a. interest (which we weren't aware). And when our initial down-payment was refunded, the exchange rate of New Zealanddollar at that point in time had appreciated substantially. So we ended up making a tidy sum from the misadventure but the wife and I must admit that we were extremely lucky that time. The episode further highlighted some of the unforeseen risks that one needs to prepare to undertake, should you decide to make that foreign property investments. Further to our New Zealand exploit, we have subsequently bought and sold another UKproperty, and have recently put our money into another residential property in Scotland (Yes MAS, we hear you!). And if anyone is thinking about investing in the UK, the wife and I will share some of our experiences thus far with you in our next post. No Comment to " Thinking about venturing overseas..? " The GSS... as in Great Sentosa Sell-off! Iskandar - Still a good buy now? What constitute a "good location" buy? London property: So is sub-sale allowed? London housing market running out of steam?